The internet, e-mail and electronic communications have transformed the processes by which design engineers identify the best components to use for any given job. In the past it was a matter of wading through enormous catalogues to identify possible products and then working through calculations to find the best option. This was time consuming and could be laborious if the same calculations had to be repeated multiple times. Oftentimes the catalogue would be out of date, so not detailing new products while possibly covering discontinued lines. Twenty years or so ago the internet and e-mail arrived, but they did not have an instant effect. Engineers and suppliers first had to get used to them and begin to explore their potential. The exploration was, of course, based on trial and error. Ideas had to be formulated then set up and tried out for a while to see if they worked – sometimes they did, sometimes they didn’t. But over time new processes evolved and today working practises are very different from what they were. What the new processes did was save engineers time; component choices that previously took several hours to resolve can now be done in a few minutes. Obviously, this has improved engineers’ productivity, as they can produce finished designs more quickly. Perhaps less obviously, it has also improved the quality of their designs because it is easier to indentify the best products for any particular situation. Of course, this evolution of working practices is ever-continuing and will carry on in the coming years. This is why WDS is constantly developing the services and support it offers to the design community, whilst retaining any service that remains popular and useful for working engineers. WDS manufactures and supplies a vast range of components, all of which are detailed on the company’s website (www.wdsltd.co.uk). A simple page structure and a powerful search engine make homing in on the ideal product very simple. Technical information for each product is laid out in clear and concise details. Many of our products are available in a range of sizes, a number of materials and with variations – all of which are easily identifiable. Ordering is only a matter of a couple of mouse clicks and next day delivery is the norm. But the website offers far more than this. There are 2D CAD drawings and 3D models that can be downloaded, application and installation information and, perhaps above all, e-mail and telephone help lines. The e-mail helpline is a very powerful tool because the act of writing out queries often helps users to order their thoughts. This may even mean they solve the problem themselves, if not we answer all e-mails on a same day basis. The telephone help line allows users to engage in a dialogue with an expert, so that problems can be teased out and discussed. Our experts may suggest calculations that need to be performed, options for materials of construction, immediate and long term issues that need to be considered, etc. Importantly WDS is always willing to consider adapting standard products to suit precise application requirements; even producing totally bespoke products if necessary. Modifications such as longer shafts, microbial-resistant coatings, extra screw holes, different threads etc can turn an adequate product into the perfect solution. We usually do this without charge and often add the modification to our catalogue as a new standard option. We have a regular client who fits out passenger coaches for long distance travel. For some years now such vehicles have typically been fitted with an onboard bathroom and we supply many of their fittings, such as hinges and locks. At one time the client was using one of our standard spring plungers as a door catch. Then, during a discussion, we suggested that a bespoke longer plunger would hold the door more securely, an idea they readily embraced. During another discussion they mentioned that passenger feedback revealed that the knob was hard to grip – in a moving bus fine movements can be that bit more difficult. We did not have a standard product that addressed this issue but offered to produce a special for them. The knob would be larger and of a shape and material that would be easy to grip: including by the very young, the elderly and anybody whose hands were a bit less flexible than average. Since then that client has placed regular orders with us and we have added the new easy-operation spring plunger to our standard range, where it has proved popular for a wide range of different applications. Another instance of a product developed for a specific application happened in early 2018. 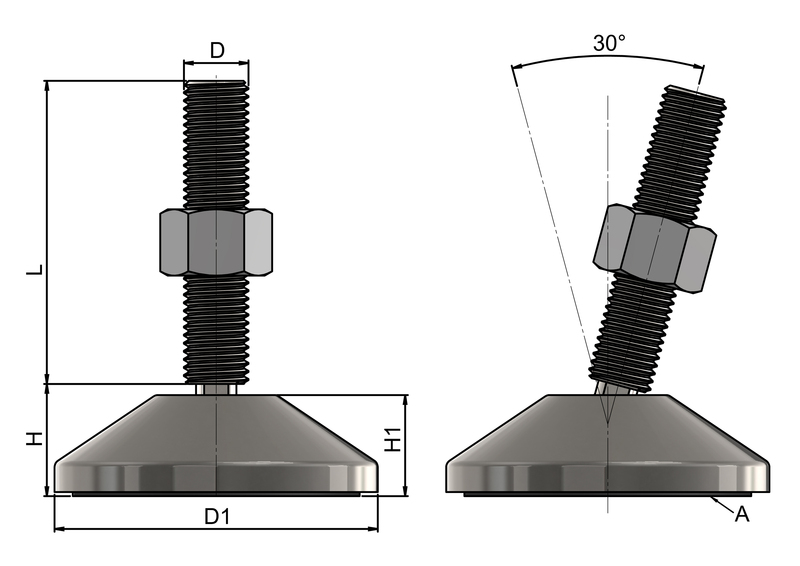 We were at an exhibition and a stand visitor said he could not use standard hinges for a particular application in case contaminants collected in the slots of the mounting screws. We talked through his requirements and developed a new hinge with mounting studs on the back and a completely smooth face on the front with no nooks or crannies where dirt could collect. Our range of levelling feet seems to grow a little every year. To the layman a levelling foot may seem thoroughly mundane, but we have designers contact us regularly with requests for non-standard feet. As a result we now offer low profile designs, a range of colours, stainless steel and corrosion resistant offerings, special anti-bacterial, hygienic and easy-clean coatings, etc. 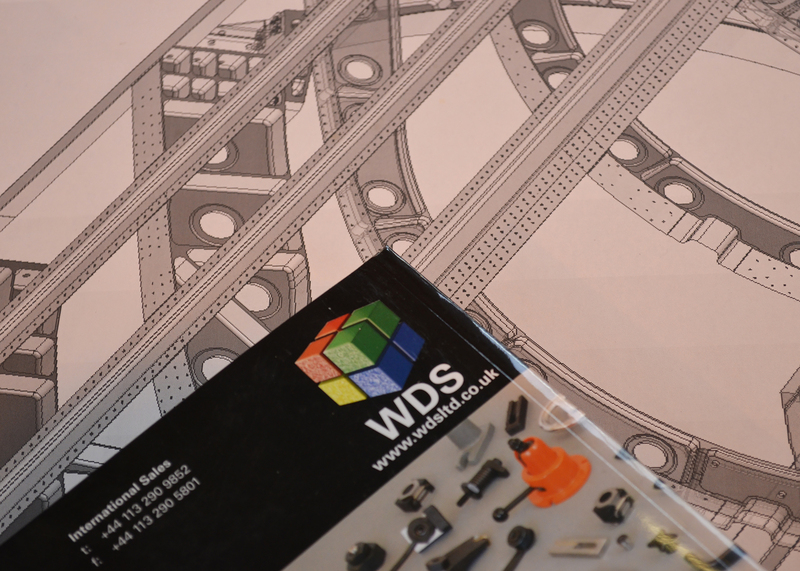 It is important to us that WDS is far more than a catalogue supplier of standard parts. While that function represents a part of our work, we strive to really add value by meeting the ever changing needs of designers across the widest possible range of industries and working with them to identify optimum components quickly, efficiently and with the minimum fuss. 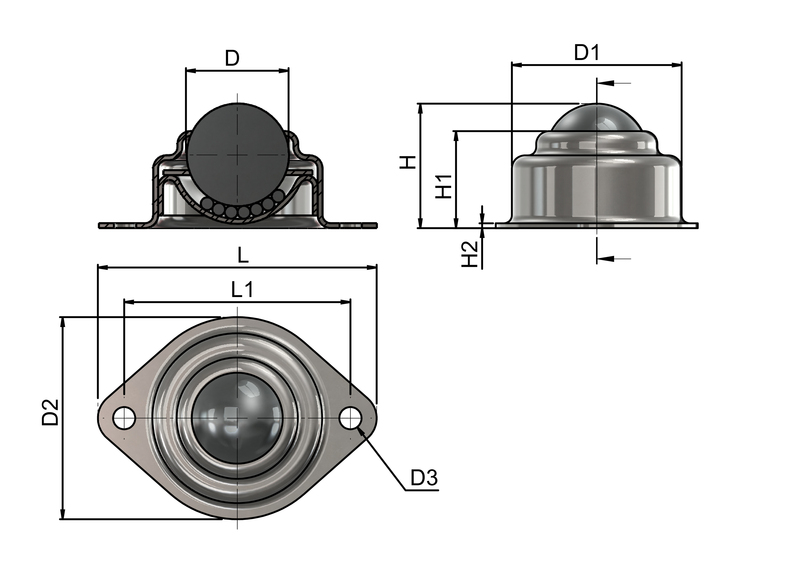 Image 1 + 2: There are 2D CAD drawings and 3D models that can be downloaded. Image 3: In the past it was a matter of wading through enormous catalogues to identify possible products and then working through calculations to find the best option.